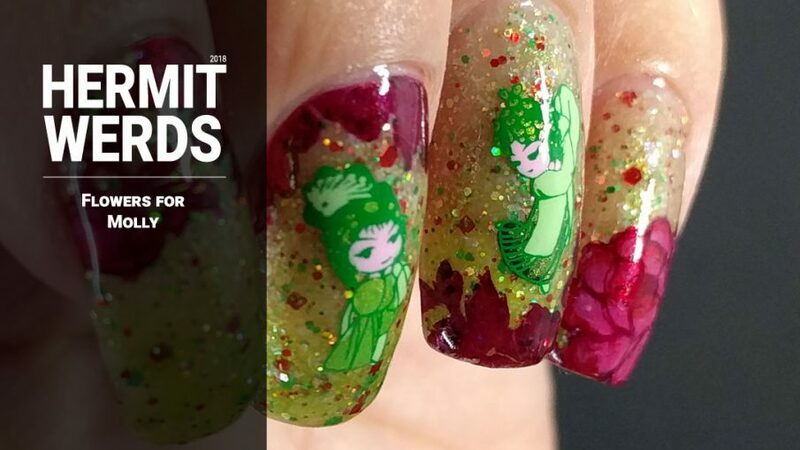 Molly is the indie maker behind Shinespark Polish. We were not close friends, but I had purchased from her several times and we had interacted on Instagram. I admired her so much and love her polishes. I heard about her murder two days after it occurred. She was going to get married that weekend to a man she’d been dating for seven years. Instead, he’s now on trial for her murder. And that’s the part the news will focus on. Her family will focus on how much they will love and miss her in their daily lives. 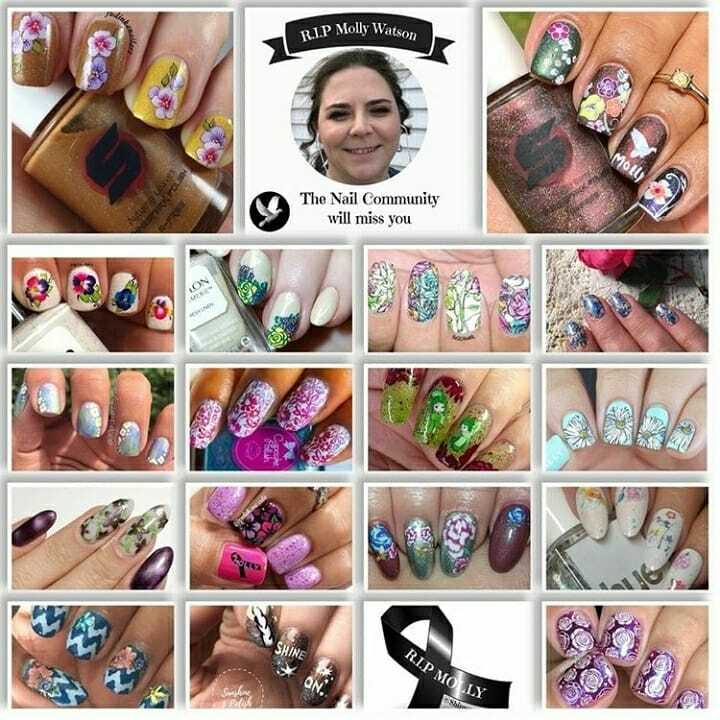 And the nail art community will miss her in its way as well. All of the beautiful creations that she would have made over the years are now lost to us. 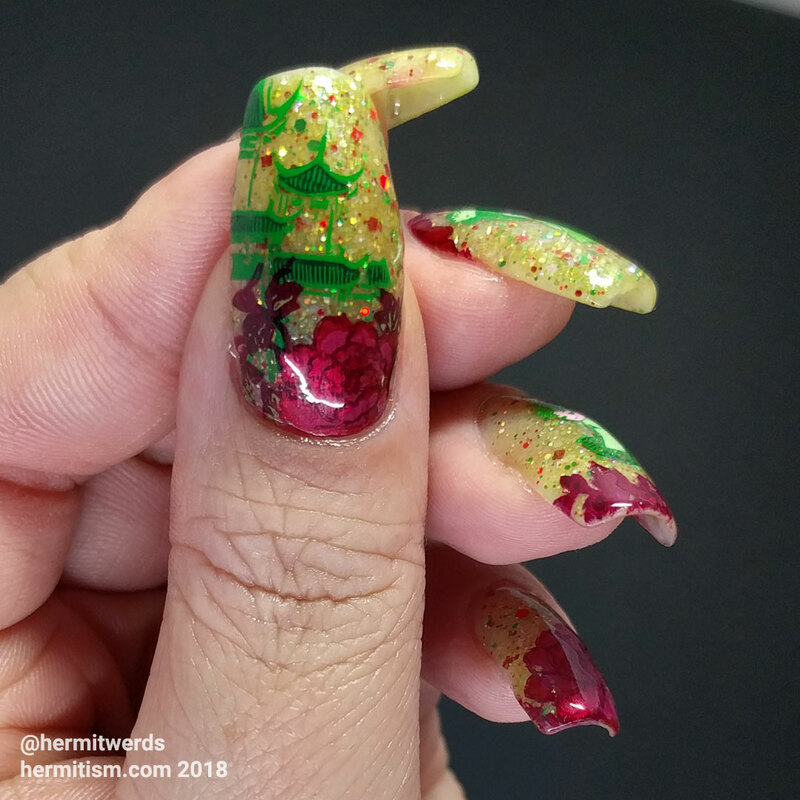 All of the interactions filled with mutual admiration that are so intrinsic to the nail art community. Gone. I painted this right after I found out about her murder. 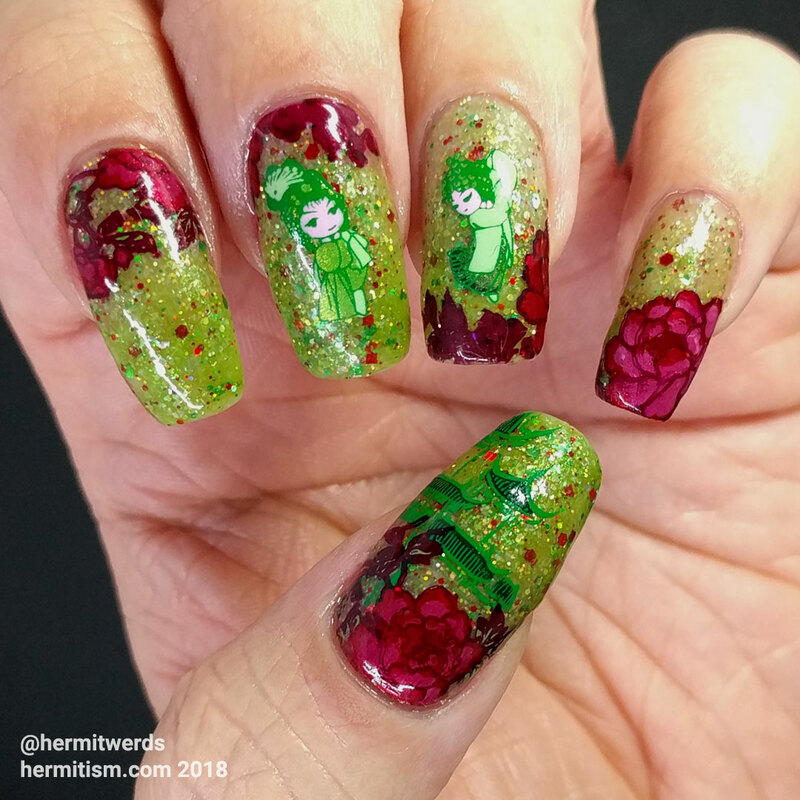 It was before the collage for her funeral was announced so it was just me wanting to use her polishes and #WhenColoursCollide’s red/green prompt. 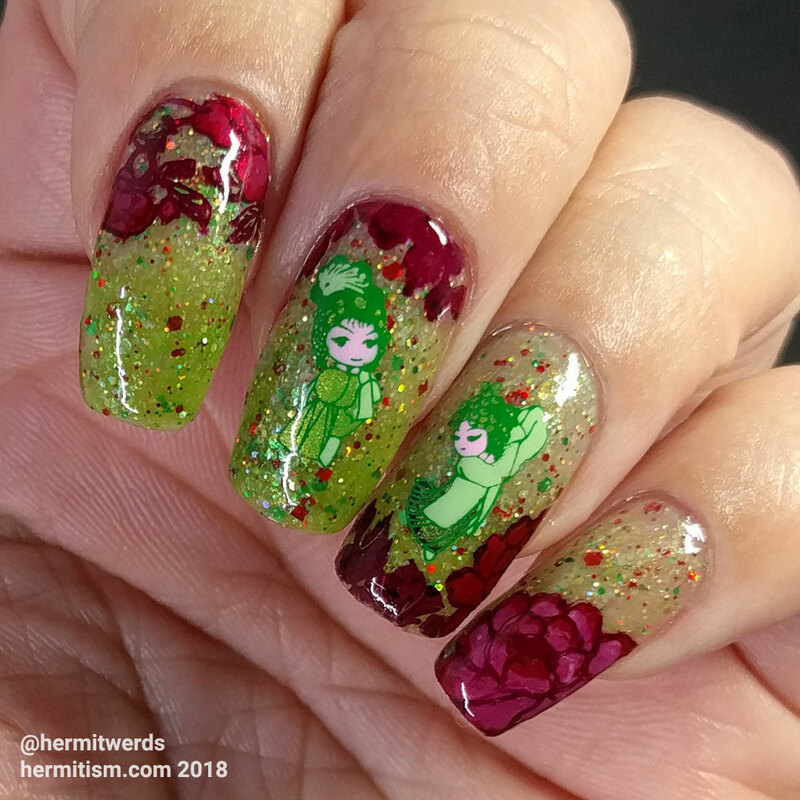 I thought: What could be more perfect then to use my favorite polish of hers which was a red/green thermal? Well, it got rejected by the admins for not sticking to the color prompt enough. So I deleted it from the group and just a few minutes later found out about the collage. It was a perfect fit. Life is funny like that. 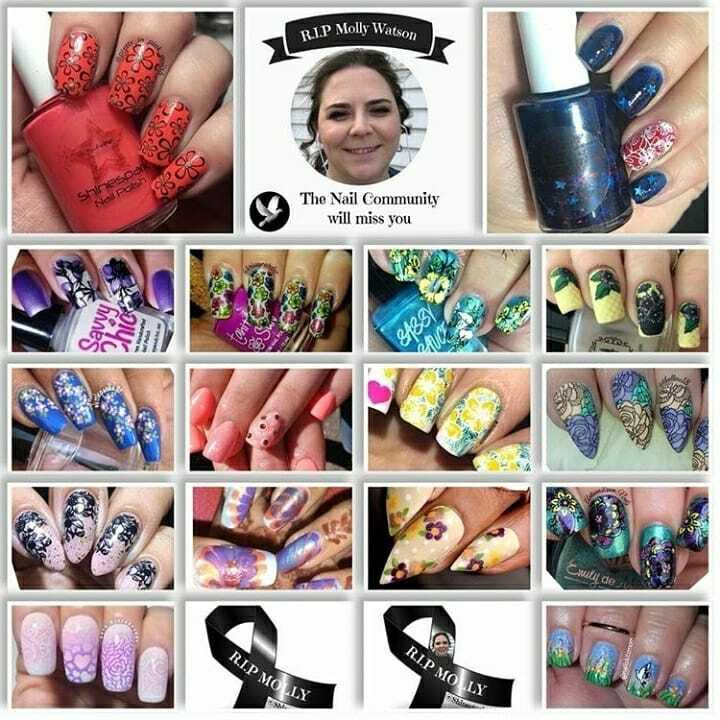 She may be gone, but Molly has left a beautiful legacy behind her. She will be missed. Her brother has started a fund to help pay for the funeral expenses if you have anything to spare.